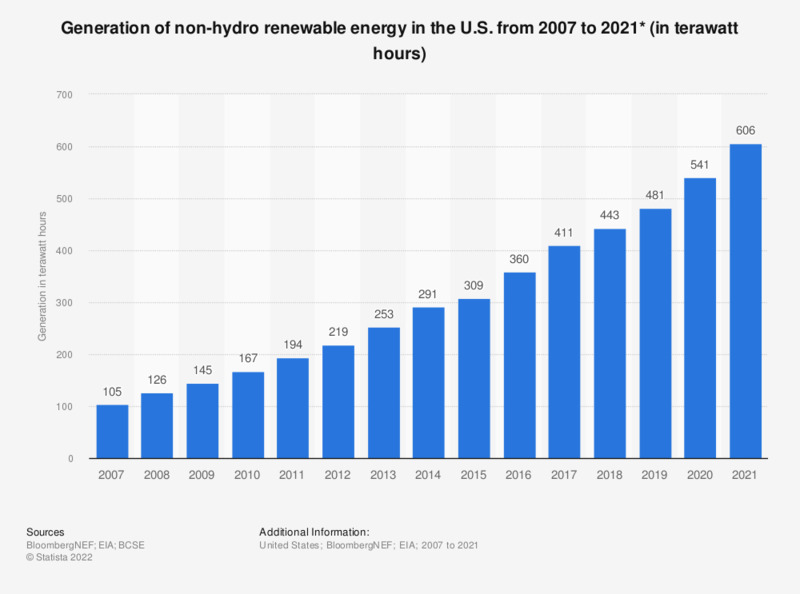 This statistic represents the non-hydropower renewable energy generation in the United States from 2007 to 2018. In 2018, the United States had generated an estimated 455 terawatt hours of renewable energy. In 2014, the generation of non-hydropower renewable energy was larger than hydropower for the first time. * Values are projected, accounting for seasonality and is based on the latest monthly values through October 2018. Figures compiled from several editions of the report and based on cumulative renewable generation minus hydro generation. What do you as a senior executive see as the three most significant barriers to more effective management of risks associated with renewable energy plants?